Here’s my list of top 15 players in the Flint area for 2009-10. I had decided to do 10 players, but there’s too much talent here for so few. 1.) Patrick O’Brien, Senior, Flint Powers: All-around, he’s just the best. 2.) 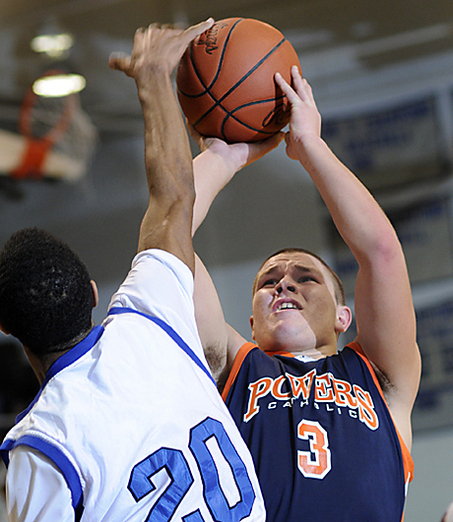 Patrick Lucas-Perry, Junior, Flint Powers: Great floor general. 3.) Glenn Cosey, Senior, Flint Carman-Ainsworth: Tough lead guard hampered by stodgy C-A offense. 4.) Shaq Smith, junior, Flint Northern: Mostly unguardable. 5.) William Sams, Senior, Montrose (transfer): Gets better every time I see him. I could see him scoring 20+ per game in the GAC Blue. I have great memories of the Flint City Pro-Am from back in the not-so-distant past. It wasn’t an all-too-rare occurence for me to be at the gym at Northwestern on Friday night, Saturday night and Sunday afternoon. It was that good, at least for a time. YPSILANTI, Mich. — Carlos Medlock scored 32 points and Eastern Michigan rallied late, scoring the game’s final 16 points to defeat Davenport 76-66 on Saturday. Brandon Bowdry added 21 and grabbed 15 rebounds for the Eagles (4-2), who trailed 66-60 with 3:20 to play against the Panthers, members of the NAIA.Medlock scored 10 points in the game-closing 16-0 stretch for Eastern Michigan. He also led the Eagles with four assists and was 11 of 12 from the free-throw line, including 7 of 8 in the final four minutes.Nathan Cox, with 26 points, was the only player in double figures for Davenport (7-1). Cox made all four of his 3-point attempts, and he scored 17 in the first half to help the Panthers to a 34-29 lead at the break. CITYBEAT: What Happened to Flint City Sports? 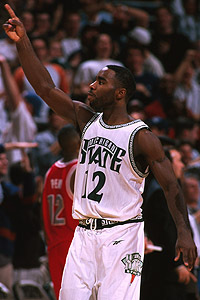 What happened to the great two-sport athletes in Flint like Mateen Cleaves? It’s the fall season and a number of things have made their return. Greatlakeshoops is back and better, this column is back again, and of course basketball season is back at the forefront of the high school sports landscape. But can someone please tell me when the city of Flint will have a real contender in basketball again? How about football? I guess I should clarify and say that when I say Flint, I really mean the city of Flint. Not Carman, not Beecher and certainly not Powers. I’m talking about Southwestern, Northwestern, Northern, and the now extinct Central. It has been 14 years since Flint won one in hoop and I don’t believe there has been a Flint champion on the gridiron in decades. What sense does that really make considering all of the great athletes in both sports that have gone through the high schools? I suggest that it makes no sense at all, but I believe I may have some insight as to why this is the case. Imagine my surprise when I ran across this little nugget about Oakland University head coach Greg Kampe. Kampe has had opportunities to coach elsewhere, but he has stayed in Rochester, MI. In fact only four active Division I coaches have been at their respective schools longer than coach Kampe, trailing Syracuse’s Jim Boeheim’s 33 seasons. Kampe is never mentioned among the better coaches in college basketball, due in large part because coaches are measured by postseason success. If he were at a big-time school he would be considered among the elite coaches in the game. Make no mistake about it; Greg Kampe is one of the top 10 coaches in college basketball. That’s not a misprint. Of course I’m not saying that Kampe stinks, but since moving to the Summit League in 1998, Oakland has won the conference only once and Kampe’s record is a ho-hum .500 during that time. Of these 10 coaches, I’m curious which one should be left out in favor of Kampe: Coach K (Duke), Roy Williams (UNC), Tom Izzo (MSU), Bill Self (Kansas), Mark Few (Gonzaga), Rick Barnes (Texas), John Calipari (UK), Ben Howland (UCLA), Jim Boeheim (Syracuse) and Billy Donovan (Florida). Kavon Rose, Detroit Finney: Big-time guard who transferred out of TCU after originally committing to Oregon State out of high school. He is averaging 17 points, five assists and four rebounds per game. Leviante “Gore” Davis, Flint Southwestern: Davis played a little at Grand Blanc before transferring back to Flint. He has the perfect build to be a major college defensive tackle but seems to love basketball. Would you be surprised if I told you that Gore actually leads the team in scoring (22 ppg)? Oh, and eight boards per game isn’t bad either. Why can’t Derick Nelson make free throws? At the risk of overshadowing Derick Nelson’s great performance on Monday night in Oakland’s win over Tennessee Tech, I have to wonder why the former standout at Lansing Everett can’t make free throws anymore. So far this season, Nelson has made only 8-of-22 free throw attempts for a paltry 36 percent from the charity stripe. Who does this guy think he is, Eric Snow? Doug Gottlieb? Nelson, a redshirt senior, has never been a particularly good free throw shooter (around 70 percent). 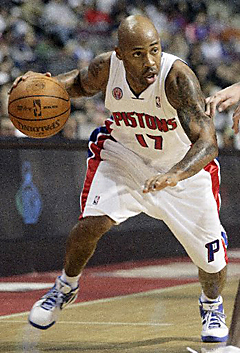 But after losing the 2008-2009 season to a foot injury, Nelson seems to have lost any semblance of touch from the line. Here’s the moral of the story for young players: If you’re not a beast like Derick Nelson, you better be able to make your foul shots. How much fun was basketball in Basketball City when Desmon Farmer and Kelvin Torbert played on the same high school team at Flint Northwestern? I remember watching Farmer close out a city series win with a slam dunk dunk that knocked a bolt out of the rim. It wasn’t surprising at the time, of course, since Farmer and Torbert must have been averaging five or six dunks per game. I was reminded of that game, that team, last week when I saw Chris McLavish, the Wildcats’ point guard, at a local Flinttown restaurant. He was pretty darn good himself and actually earned a D-1 gig in Alabama. In any event, I digress. It seems that Farmer is still out there trying to get his NBA on. A lot of NBA teams left vacant roster spots, basically to save money because attendance is down. As the season goes on, do you think there might be some more opportunities for guys in the D-League when they might look to fill those spots? That’s the whole reason for me coming to the D-League (instead of Europe). I knew they were going to be looking for guys when their players get injured. I passed up opportunities to play overseas because I still have that push for the NBA. 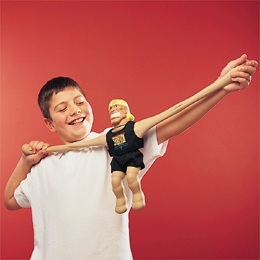 I played with the Spurs last year, so that gave me some leverage as well. Being coached by (Gregg) Popovich, he’s one of the best coaches in the NBA, so I have that behind me as well. I feel like my chances of getting called up as a veteran NBA guy are better. I think veterans have a better chance than rookies right now because of the roster situation.